Beste work-out voor je billen, benen en lachspieren!! This class is for all those who like African music because it makes them wanna move. We will go through technique and basic steps of African styles such as Ndombolo, Kuduro, Afrohouse, Azonto and Coupedecale. This class is for complete beginners so we will work slowly but hard on musicality, body isolations and footwork. Most importantly though, we will have lots of fun and enjoy dancing together instead of only with your own reflection in the mirror! Designed for those who already understand basic moves, flow and technique of African style steps. 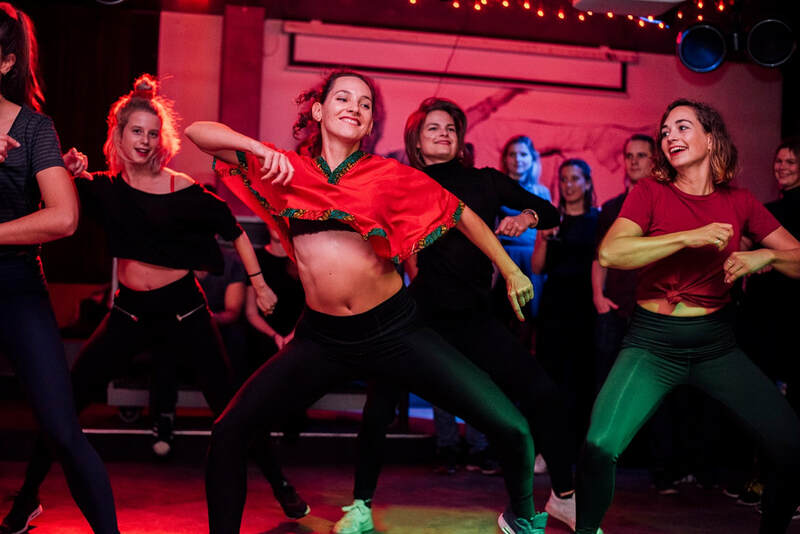 Focus of this class is to enrich your dance vocabulary and experiment with many variations of each step, which will open up endless opportunities for your freestyle. We will work on finding your own unique style within Afrobeats music so that you can fully express yourself through dance!